Did you know that your divorce files are open to anyone? At one time divorce files could be “sealed” so that no one other than the parties or their attorney could look at them. That is no longer the case. Divorce files are now public record and available to anyone, with or without a legitimate purpose according, to the Freedom of Information laws. In many places the files are available online or soon will be. The only way to keep such information from prying eyes is to not have it in the record at all. Just because you are getting a divorce does not mean you have to expose all of your private information to others scrutiny. The information in a divorce file can include financial information, property settlement agreements, and worst of all, the unproven allegations one parent is making against the other. In some cases parenting evaluations, including psychological evaluations, are available to the curious. A business owner may find very private company financial information in these filings. 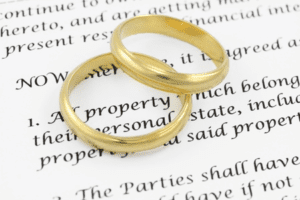 While filing for divorce (technically, dissolution of marriage) is a matter of public record there are ways a divorcing couple can avoid most exposure of their private information. 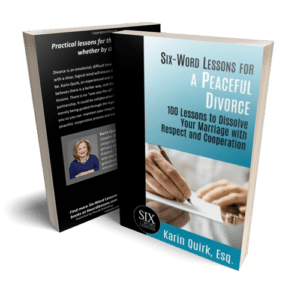 Several forms of what I call a cooperative divorce provide the means to keep all but the most basic information confidential. The parties’ property settlement agreement, while completely enforceable as a contract, is not filed with the court. 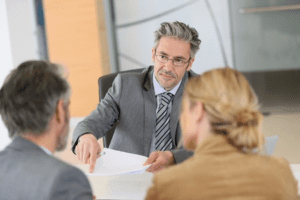 The privacy concern is probably one of the most important reasons to work with an attorney rather than on line programs or do-it-yourself divorce. The first thing I notice when do-it-yourselfers want me to review their papers is how willing they are to list all their assets, all their debt and other private information in the documents. No one tells them there is another way. When engaged in co-operative divorce a couple keeps court filings to the minimum required to obtain a final decree. The settlement terms, financial disclosure and other concerns remain private. If there is a parenting recommendation by an evaluator or counselor, that information remains confidential to the parties and their attorneys. What constitutes as co-operative divorce? A complex situation in which both sides have attorneys, but the attorneys and the parties contract to keep the matter out of court. Besides the privacy issues I discussed above, a cooperative divorce costs about one-third of the traditional litigated divorce. Studies have shown that the outcomes, do not have to be one sided or influenced by the person with the stronger personality. The structure of the process can provide even more fairness than litigation. Most importantly, the outcomes are resolved. Litigated divorces often are re-litigated, and continue to be modified even years later. The evidence is that the parties are more apt to keep the agreements they worked on cooperatively and don’t have to go back to court. Most important of all: PRIVACY IS PRESERVED!